From what height would you need to drop a steak for it to be cooked when it hit the ground? I lol'd at the Andromeda Strain punchline. "Steak" in this article means "uncooked raw beef", anyway. But I expected the article to consider different size of "steak". Why didn't that happen? Reminds me of Nathan Myhrvold's recipe for cooking the perfect steak by first searing it when it's frozen solid so you don't overdo the center. And people say theoretical physics isn't practical. Searing the outside so that you don't overdo the center? Apparently in Nathan Myhrvold's world, the outer layers are SUPPOSED to be more heavily cooked than the center. In the world I was raised in, the goal is usually to cook meat as evenly as possible. Anyway, the high specific heat and low thermal conductivity of most mammalian meat (being a solid that is 60-70% water by mass) means that heat tends to penetrate from the outer layers to the center relatively slowly, so if you don't want to overly char the surface, you need several minutes per centimeter of depth that the heat must penetrate. Microwave ovens, on the other hand, get around this constraint because the microwave wavelengths can penetrate through the food to act on its interior rather than having to heat it from the surface inward. I suppose in your world, people don't eat steaks. ijuin wrote: Searing the outside so that you don't overdo the center? Apparently in Nathan Myhrvold's world, the outer layers are SUPPOSED to be more heavily cooked than the center. In the world I was raised in, the goal is usually to cook meat as evenly as possible. Wrong and wrong again. Well, the first part is a bit subjective. Do you like your steak well done? Do you want a brown crust on a steak? Most steaks are cooked to medium rare while browning the outside. But we have a problem. To browning takes high temperatures which overcooks the interior of the steak, causing a gradient from rubbery well done to bloody rare. Definitely my favorite so far. I think it's very telling that the best options for cooking the dropped steak are full cuts for a pittsburgh rare and slices to get a philly steak (also dropping slices of peppers and onions with the meat). Plus the ablation zone is not a total loss. Let it land in a giant bowl full of lettuce and french fries and you've got yourself steak salad! Why is the Mach 6 line not straight (constant)? I am confused and can't find a answer to that. Is the velocity of Mach 6 dependant from something? Wanroto wrote: Why is the Mach 6 line not straight (constant)? I am confused and can't find a answer to that. Is the velocity of Mach 6 dependant from something? None of the "Mach" lines are straight, it's just more noticeable on that scale. The "Mach x" lines are multiples of the speed of sound... and the speed of sound varies based on the temperature, and the density of the air, and the pressure, and suchlike, and thus varies wildly with altitude (it gets colder, which makes the speed of sound go down, but less dense, which makes it go up). My bad, as pointed out below it isn't affected by density... the speed of sound goes down with density but up with pressure, and these cancel out for an ideal gas. Just the temperature curve matters. Last edited by phlip on Tue Jan 15, 2013 12:44 pm UTC, edited 1 time in total. The anchor link bought me some valuable reaction time, but just a word of warning for anyone who might need it: the ads at the top of the 4chan archive page are NOT safe for work. Willl wrote: The anchor link bought me some valuable reaction time, but just a word of warning for anyone who might need it: the ads at the top of the 4chan archive page are NOT safe for work. Yuck. You a Brit or something? Beef or tuna, same rule: blackened on the outside, preferably w/ a pepper&seasoning rub, a 2-3 mm transitional layer, and bloodred in the middle. The only exception is for things like braised short ribs or pot roast. I'm pretty sure the proportion of people in Pittsburgh who like their steaks "Pittsburgh Raw" is roughly equal to the proportion of people in the rest of the US who like their steaks "Pittsburgh Raw". Also, you really don't have to watch out for salmonella as long as the outside of the steak is cooked (or gone). We're talking about steaks here. Steaks taste best raw (though for texture YMMV), but you need to cook the outside to get rid of ecoli and other nasties. The solution is searing the outside while leaving the middle bloody. Other meat (chicken, pork, wild game, freshwater fish, and ground beef) has bacteria all throughout it, so you need to cook all the way through. In these cases, it's best to cook the meat evenly so that none of the meat is over-cooked. Also, if you slow cook a meat, it absorbs more of the flavor from what it's cooking in, and it also can be extremely tender. So a nice well-done pot roast or barbeque is delicious if seasoned properly. But steak can be delicious without seasoning, so it's usually cooked pretty plain so that the flavor of the steak isn't covered up. Actually, I just made up that last paragraph. I'm pretty sure it's right, though. You prefer blackened steak? I much prefer evenly cooked to crunchy charcoal. My thought is, when you put steak in the vacuum of space, isn't it going to end up freeze dried? I've seen water that started at room temperature boiling in a chamber with ambient temperature below 0 c, because the atmospheric pressure was reduced to a few millitorrs. Randall's analysis didn't mention cooling due to evaporation and/or sublimation of the water content. Space and the upper atmosphere is pretty dry. I would imagine that this cooling effect would not be large, however, as only the outer mm or so would lose its water with any efficiency. Oops. I now see McDigman already covered this. Wouldn't the lower air pressure cause the moisture inside the steak to boil, cooking the meat? zekethegreek wrote: Wouldn't the lower air pressure cause the moisture inside the steak to boil, cooking the meat? Cooking is a product of temperature, not of phase-changes like boiling. Boiling is usually a product of temperature, because we're used to a constant-pressure environment, so we're used to thinking that boiling = hot. Low pressures can also cause the same phase-changes that we're used to seeing accompanying high temperatures, but that doesn't mean that it actually causes high temperatures. In other words, when water boils due to pressure drops, it boils coldly, and isn't useful for cooking anything. (Actually, this is a problem for cooking at high altitudes, because you can't get liquid water any hotter than its boiling point, so at high altitudes where the air pressure is low and the boiling point is likewise lower, you can't get water hot enough to cook things well, no matter how much fire you hit it with: it will just boil away before it gets that hot. Using a lots of water to keep it from boiling away so fast doesn't help either: the hotter parts of the water boil away first, so the liquid water that's left is always below the boiling point). As stated in the article (I did not know this) it takes 5 to 6 minutes to get down from 25km. A steak is perfectly fine after 6 minutes, as a cook I knew this already. So just heat up an oven to 180°C and drop it with the steak from 25km. If it lands in one piece the steak is medium. Who said anything about cooking the steak so that its exterior would be crunchy charcoal? There's no reason that NOT overcooking the center would require that. Cooking steak by dropping it requires some additional hardware. Surround your steak in a tight fitting metal (aluminum?) case that spears the steak in multiple locations with metal pins (I know it's not ideal to perforate your steak but there shouldn't be a problem with loosing juices since the case is sealed). The diameter and number of the pins would have to be calculated and would vary depending how well done you want your steak's surface versus its center. Not perfect but better than dropping a bare steak. On a separate note, the ideal way to cook a steak depends on the cut. "Steak" is far too ambiguous to be making statements like: "Steaks must be cooked at until they are x in the middle and x on the outside." A che:ap tough steak needs to be cooked longer than, say, filet mignon since it needs to be tenderized while filet mignon is already quite tender (raw meat is tougher than cooked meat, to a certain point). Even that is generalizing though, it's always a balance between flavor and texture. If we only cooked steak the get rid of bacteria... there are other ways to get rid of bacteria that don't change the meat. And did someone mention a microwave? You, sir, are never allowed near steak again. In the upcoming months, I won't be surprised if people start attempting steak drops. i.e. attach the steak (with gps tag) to a balloon and figure some way to release it at the correct altitude. slicedtoad wrote: Cooking steak by dropping it requires some additional hardware. On a separate note, the ideal way to cook a steak depends on the cut. "Steak" is far too ambiguous to be making statements like: "Steaks must be cooked at until they are x in the middle and x on the outside." A cheap tough steak needs to be cooked longer than, say, filet Mignon since it needs to be tenderized while filet Mignon is already quite tender (raw meat is tougher than cooked meat, to a certain point). Even that is generalizing though, it's always a balance between flavor and texture. If we only cooked steak the get rid of bacteria... there are other ways to get rid of bacteria that don't change the meat. Perforating a steak increases juiciness, google jacarding a steak or jacard meat tenderizer. The time it takes to cook a steak and it's tenderness is non linear. Tenderness from long cook times are due to the breakdown of connective tissue into collagen. Tenderness from a medium rare steak is due to... something, I can't remember, but you can tell a well done steak is tougher than a medium rare steak. Now if you took a tough cut of meat, and cooked it sous vide for medium rare(130-135 F) for 36 hours, then you'll have both tenderness from being medium rare AND from the breakdown of tissue into collagen. When we talk about cooking a steak, people usually assume a grill or pan like cooking environment where we have a single temperature, hot, and x cooking times. From that, we derive erroneous conclusions about how steaks should be cooked. Being forced to balance flavor and texture is a myth born out of ignorance, we can have the best of both worlds, WITH SCIENCE. Rib eye steaks are objectively the best if you're just eating steak straight up. Anyone saying differently is wrong, though I can see where some might say porterhouse. sardia wrote: Perforating a steak increases juiciness, google jacarding a steak or jacard meat tenderizer. Sous vide is an inferior way of cooking a steak. It does make ridiculously tender steaks, but more importantly, it doesn't trigger the Maillard reaction, which browns the beef and produces the complex and delicious flavors one expects from a good steak. You can raise the pH to lower the temperature needed for the reaction, but honestly, sous vide doesn't provide anything you can't get on a grill. Cooking a steak over anything other than an open flame is questionable, but the true heresy in the thread is people suggesting that steaks should be cooked evenly. If you cook a steak evenly, you are either not browning the steak or you are cooking off all the juice and fat that makes a steak juicy and tender and delicious and you might as well chew on a leather sofa. This what-if perplexed me. 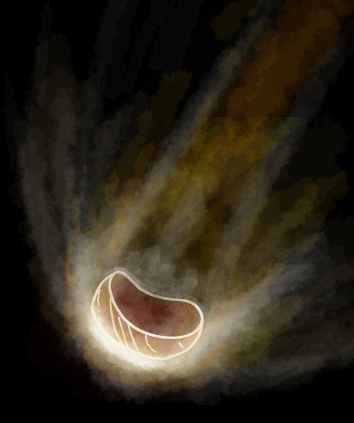 If steak is so robust, shouldn't we be lining our rockets with it to protect them during reentry? omgryebread wrote: Sous vide is an inferior way of cooking a steak. It does make ridiculously tender steaks, but more importantly, it doesn't trigger the Maillard reaction, which browns the beef and produces the complex and delicious flavors one expects from a good steak. You can raise the pH to lower the temperature needed for the reaction, but honestly, sous vide doesn't provide anything you can't get on a grill. You are almost correct. If all you did was cook the steak sous vide without finishing it versus a steak cooked on the grill; the grilled steak would be awesome in comparison. However, you do not do that. You cook the steak sous vide, so it is perfectly done in the center. Then you throw it on a high temperature grill, the oils flash off, you get the Maillard reaction going on, it browns, and it turns amazingly delicious in seconds without overcooking the interior. Or you could skip the grill and simply do it with a torch, which works just as well. omgryebread wrote: Cooking a steak over anything other than an open flame is questionable, but the true heresy in the thread is people suggesting that steaks should be cooked evenly. If you cook a steak evenly, you are either not browning the steak or you are cooking off all the juice and fat that makes a steak juicy and tender and delicious and you might as well chew on a leather sofa. All the open flame does is heat it up. There are a lot of ways that can be done just as effectively. The benefit of an open flame is the high level of heat for cooking off the volatile aromatics. Yum! But that is not why I am writing. I am writing because the steak drop entirely skips the question of dry bulb versus wet bulb temperature. The amount of moisture surrounding the steak makes a large difference in how fast it cooks. Furthermore, the earlier idea of sticking it with metal probes is genius, you don't even need to put it in a container - just put some metal pins in it. The only thing left then is dialing in the right distance. And there is nothing wrong with it smashing upon contact with the ground, albeit that is a bit deconstructionist for my tastes. The idea is to get it to medium-rare on the inside while charring the outside as little as possible (ideally, then, the whole steak is as close as possible to medium-rare throughout). If I wanted to eat something charred, I would chew on charcoal. Adam H wrote: I'm pretty sure the proportion of people in Pittsburgh who like their steaks "Pittsburgh Raw" is roughly equal to the proportion of people in the rest of the US who like their steaks "Pittsburgh Raw". Thank you, this is what I was trying to get at. I was also not aware that bacteria were only on the surface of beef--I had assumed that, like most meats, the bacteria were present throughout. You are correct that sous vide does not trigger Maillard reactions. What you're missing is the searing step that occurs before or after you cook your steak sous vide. I prefer to freeze my steak for 30-60 min to chill the core so I can sear the outside while minimizing the area between seared and medium rare, aka well done. Now we have the best of both worlds, an evenly cooked steak that is medium rare throughout (or w/e you like best) and a tasty seared crust. I remember his explanation behind the tastiness of an open fire/coals. The juices, fats, and other drippings fall onto the hot coals, which rapidly generate aromatics and other appetizing chemicals to splash up and infuse the meat with a mouthwatering flavor. Combined with Maillard reactions, this is divine meat heaven. Adam: Due to improved pig sanitation, there is no longer any need to cook pork until it is rubbery dried piece of well done. It's ok to have a bit of pink inside, medium rare pork chops are a nice treat when steak is out of your price range. Adding salt and other stuff also raises the boiling point. I've tried a few recipes for potatoes cooked in very salty water, from around the world, they were pretty interesting. I only recently learned to appreciate rare steaks - in my national cuisine (Bulgarian) anything other than well done is considered weird and is referred to as alangle, a misspell of the French term. Still, I find it puzzling that there are people out there that think that cooking is done just to kill bacteria. In my mind, eating raw meat is something our ancestors did before they invented fire. On a side note, it's weird that today's What-If quickly switched from science to cooking. What's even more depressing is that I have more to say on the culinary side But hey, I got some scientific cooking tips, so I'm still happy. I'll even get one of the books Randall referenced. I've never heard of à l'Anglaise applied to steak, but trust me: it wouldn't mean rare. If any nation has their steak rarer than us, it's the French. All the closest literal translations of different terms will get you the equivalent of the next rarest step in France. The English concept of "well done" is a baffling alien concept - the best you will get is what we'd call medium. And unless you're barbecuing it, quite right too. So, Randal is a believer in Soft Water, eh? CasualSax wrote: If it isn't apparent already, the ideal steak is highly subjective and arguing about it is pointless if you like gooey chewy bloody steak you're doing something wrong. Well, de gustibus non disputandum. I like steak tartare and carpaccio - and a grilled steak should be nice and brown on the outside, but nice and juicy inside. What am I doing wrong again? Sunlight in vacuum is 1367W/m². Assume we want medium rare, core temperature 63C. Starting at 1C refrigerator temperature, we need to heat our 230 gram steak by perhaps 80C on average, about 7700 joules. The edge-on cross section is 1.9e-3m², flat-on is 4.5e-3m². On average the solar illumination in space is 4.4W . For best results, cover the steak with "Keith's Cowboy Marinade", which seals in the moisture, has a visible albedo of zero (black) and a thermal infrared albedo of one (no emission). If the steak spends about half an hour in space exposed to the sun, it will heat up and cook itself. Dropping from 5500 kilometers altitude, the steak will be bathed in sunlight for half an hour before hitting the dense lower atmosphere (where the toxic marinade burns off). You will need a longer drop if you use an inferior brand of marinade or want well-done; 21000 kilometers gives a 2 hour cooking time. BTW, although most people believe I am a vegetarian, I am actually a humanitarian. I like to read about my steaks afterwards in rangeland small town newspapers. Homme Appetit! Last edited by keithl on Wed Jan 16, 2013 9:48 pm UTC, edited 1 time in total. Well, carpaccio isn't bloody at all, nor should any steak ever be. Blood is drained out of the cow when it is slaughtered. I've had carpaccio before. I liken it to a side salad, not bad but not what I'm looking for.